It’s finally summertime at Hersheypark! This is the 110th year of the park, and there are a few new things at the park this year. We are season pass holders and tend to spend quite a bit of time at the park during the summer. We can’t wait to experience all Hersheypark has to offer this summer! Tickets to Hersheypark include so much fun! 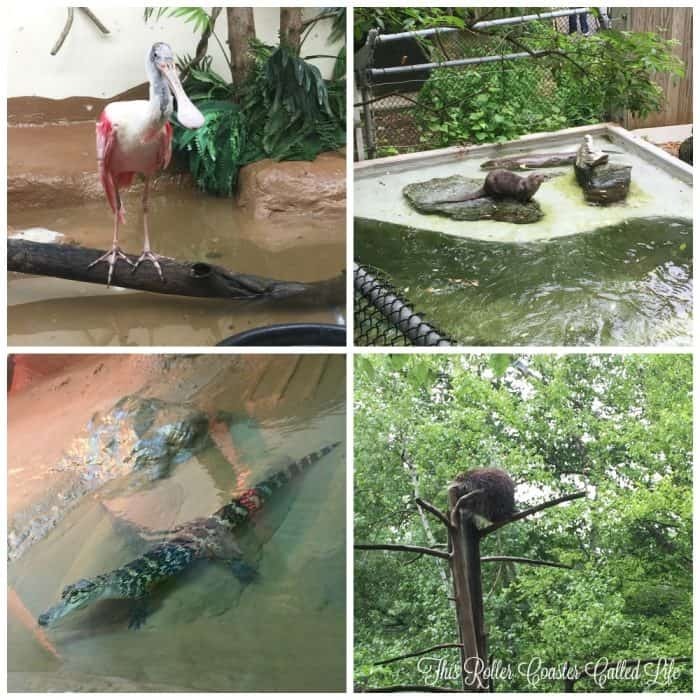 We often take a quick trip into ZooAmerica to see the animals. It’s a nice quiet juxtaposition to the park. Of course, we can’t leave out The Boardwalk! What a great place to cool off on a hot day! Whether we go with a cabana for the day or just go over to swim in the afternoon, The Boardwalk is always an enjoyable time. 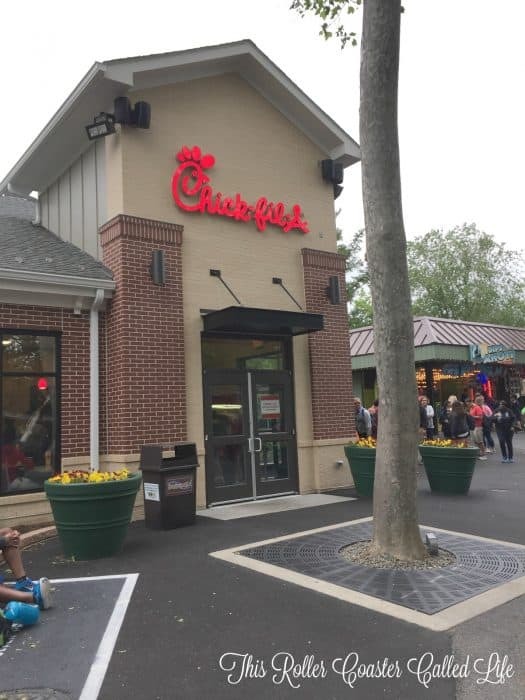 But now, let’s talk about some of the new additions… Chick-fil-A! One of my favorite places to eat, and now it is in my favorite park! And, there is a new drink experience called BBLz that will offer a sort of mixology with soft drinks. I can’t wait to try that one when it opens! I can’t talk about new experiences without mentioning the Triple Towers! These are three different height towers (each with its own line) that are named for Hershey candy (Kisses, Reese’s, and Hershey Bar). I haven’t ridden them yet, but Don has been on the Reese’s Tower (middle one). He can’t wait to try the Hershey Tower! Now, how about a little giveaway? 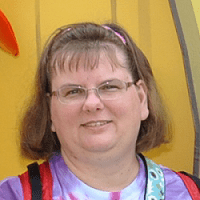 Hershey Entertainment has offered to give one reader 4 tickets to one of my readers! [Note: This giveaway is only for 4 park tickets. No travel or food is included. These tickets expire September 24, 2017] Are you ready to enter? Make sure to read the rules below and enter via the widget below. A few of my fellow Sweetest Moms are also giving away Hersheypark tickets! You can find a list below the giveaway widget, so make sure to visit the other giveaways and enter! Good luck! Rules: Giveaway starts at 12:01 am Eastern on May 26, 2017 and ends at 11:59 pm Eastern on June 16, 2017. Open to U.S. residents 18 years old and older. Shipping to U.S. only. No purchase is necessary to win. Void where prohibited. Odds of winning depend on the number of entries collected. The winner will be chosen by the Giveaway Tools widget and will have 48 hours to respond after being contacted by email. Please make sure to use a valid email address. Facebook, Twitter, Pinterest, Instagram, and Google+ do not endorse this, nor sponsor this giveaway. Nor are Facebook, Twitter, Pinterest, Instagram, or Google+ affiliated with this giveaway in any way. Additional rules here. Blog hop disclosure: Participating hop bloggers are not responsible for companies or other bloggers who do not fulfill prize obligations or injury from said prizes. 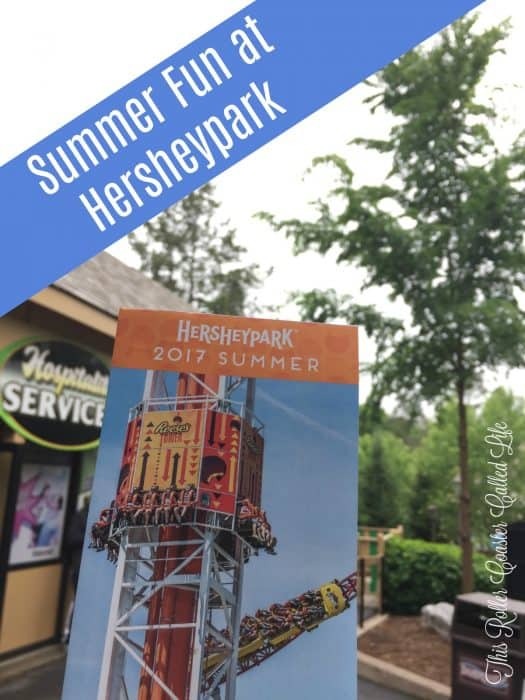 Disclosure: I am a part of Hershey’s Sweetest Moms this year and am excited to be sharing more about Hersheypark with you! Please know that even though I may be provided with some free comps, it will never change my true opinion of Hersheypark (which is VERY good!). I am most excited to take my boys there to ride the rides–it has been at least 3 years since we’ve gone so my 3 year old doesn’t remember it. I look forward to going on the rides with my kids, and shopping for chocolate! My wife and I love getting on roller coasters. We haven’t been to Hershey Park in several years and one of the new rides we want to get on that wasn’t there for us last time is Laff Track. That looks really cool and fun! I am looking forward to the roller coasters. I would love to take my picture with that kit kat bar, my fave! Also that cool water looks amazing. My family would LOVE to go to Hershey! We don’t live that far from there, but never seem to get over there enough! I would REALLY love to go on the Laff Trax coaster! My girls are looking forward to the water park! I am looking forward to getting Hershey Park Happy! We are defintely looking forward to riding the carousel again this year!Its our families favorite thing to ride at Hershey! 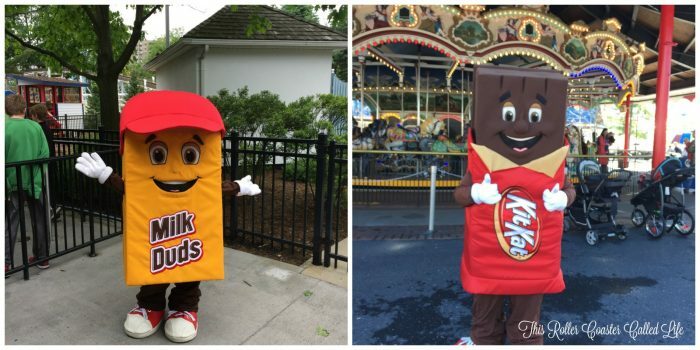 We love to visit ZooAmerica, ride the rides, and of course, enjoy a chocolate treat! We haven’t been to Hershey Park in years! I am most looking forward to the boardwalk – it wasn’t there when we were there last. We love the rides at Hershey! The Boardwalk sounds really fun. I haven’t seen that yet. We’ve never been to Hershey Park before! It looks like so much fun to do together as a family! Lots of great activities! 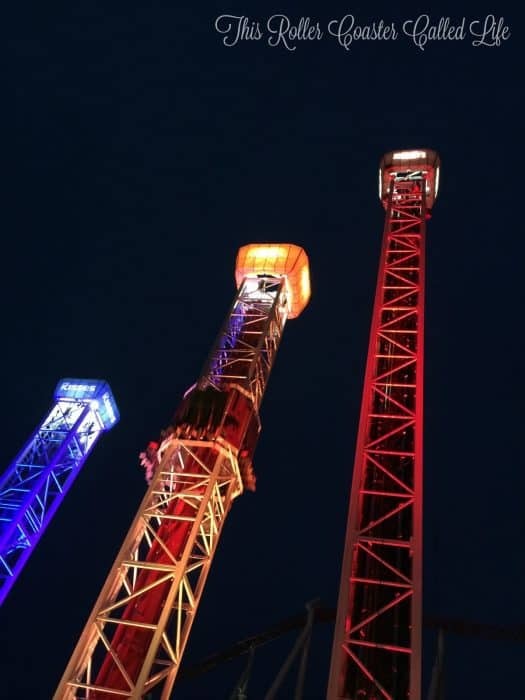 We are looking forward to trying the new ride the Triple Towers. I would look forward most to hanging in those cabanas at the Boardwalk! How relaxing that looks! This sounds like a great place to take the kids, but it is far away from us over here in North Carolina. 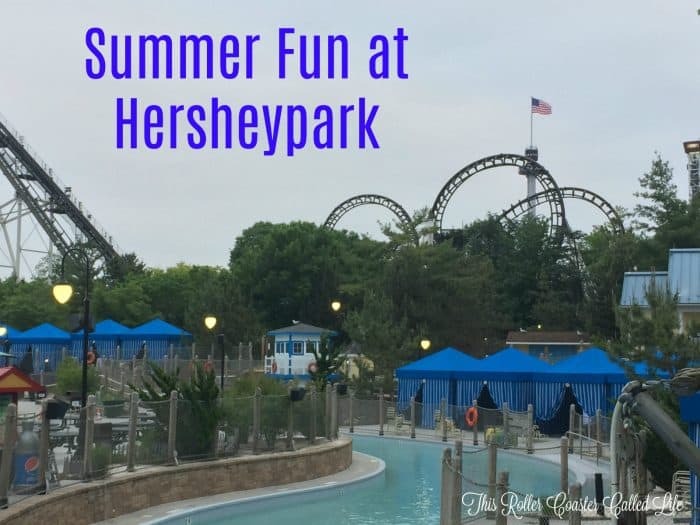 We have several parks close by, but I am envious of some of Hershey’s attractions and having ZooAmerica right there near the park. The Boardwalk where you can cool off would be my favorite place. It sounds fabulous. Having a Chick Fil-A right there is just icing on the cake. I had no idea about ZooAmerica! My niece loves animals and I am sure would love to visit. I have not been there since I was a little girl. I am super excited to do it all and see what has changed. We are a family of roller coaster riders! We’ve never been that far east before but someday we will! We love exploring the US! Ive never been to hershey park before. It looks like it would be a lot of fun, and I definitely love this part of the country. I look forward to to just seeing the park over off if I win! I am looking forward to ride the rides with my grandsons and eat delicious food. Glad y’all had a good time. This looks like fun!!! Love Hershey Park. Been going there since I was a kid…back when the Super Duper Looper was new! LOL! Looking forward to the boardwalk, the chocolate cupcakes (I had one last time we went years ago best cupcake ive ever had) and seeing my kids light up! I have always wanted to take my kids here. It looks like a blast! I am looking forward to the rides, especially the roller coasters and of course chocolate. We love Hershey Park. My daughter wants to go and take her best friend with us for her birthday in July. Trying to work it out. She loves Laff Trak. We also all love the water rides. When it is really hot, Hershey World in the ac becomes my favorite. We can not wait to do the new drops they have added. I’m looking forward to the water slides; I’ve been to hershey park before, but we have never gone on the water rides! I haven’t been there since they opened the Boardwalk – that sounds like fun! This looks like a fun place for the grandkids!! Too bad we are so far away!! I’m looking forward to going on the Triple Chocolate Tower! Hello from southern WV! I’m a stay at home momma too. I would really love to go to this park with my little family. You’re never too old to still get excited about theme parks. This is one I’ve yet to been at. Best of luck to all. my daughter has always wanted to go here.look so fun. We’ve never been but the combination of chocolate and roller coasters looks like a blast! Hershey is a great park! I wish we lived closer! This does look like so much fun! I’m mostly just looking forward to taking my kids there for the first time. They are going to be so amazed! Coasters coasters coasters. I haven’t been to Hersheypark in twenty years! I have always wanted to visit Hershey park. My friend lives up there too, another reason to finally go up there and visit. I would most look forward to riding on the rides. born and raised in Pittsburgh and I haven’t yet made it to Hersheypark! I would love to go to the factory tour. thanks! I would love to go to Zoo America. I haven’t been in 37 years! My husband and I did make it up to Hershey last year for the first time for him, and first time in 36 years for me, and I’d love to win tickets so we could enjoy the amusement park. My parents didn’t take me when I was six years old, so I’ve never been so I would just love the whole experience! I’ve never been and I would definitely love to go one day. So many things to do! I love any opportunity where I can create memories with my child.? I’m looking forward to sending my son and his new wife to Hershey for a summer getaway! I wish I lived near a Hershey Park. It looks like a ton of fun plus they have a Chick-fila my favorite place to eat. I am looking forward to going to the factory. I’m looking forward to just relaxing in the lazy river! Ride the triple tower!!! my kids will love it!! This looks like a fantastic time. I wish we were closer to attractions like this. I bet it is a ball. Riding all the great rides and visiting the attractions! And eating chocolate of course. So much to do…from rides to seeing the animals to water fun and don’t forget the food. I’ve never been but I think the whole family would enjoy. This would be a great trip for me and my little family. I’m a stay at home mom from southern WV. I’ve never been to this park yet but would love to go. Thanks for the opportunity! I would love to take my kids and go on all the rides. I have not been to Hershey Park so I’d love to do it all. I have some collectable figures that a friend got for me from there many years ago and they still smell like Hershey chocolate. OMGosh I have always visit this park, but being a single mom of 3 I am unable to afford it. THANK YOU so much for the review! Makes me feel like I’m already there! Just wish I had the chocolate lol! My family would love this! It looks like a great family time!! We look forward to the rides most of all at Hershey’s Park! Any thing to do with Chocolate. I haven’t been to Hershey Park, but it is definitely something I would love to visit when I have vacation time. I’d love to visit here. Too bad it’s 1,000 miles away from me. This park looks like so much fun!! My kids would flip to be able to go. Their cousins have been and they have been so envious ever since. I am looking forward to checking out the amazing rides at Hershey Park! I think that my kids are going to love the Kissing Tower! I remember going on it when I was a child! We’ve actually never been, so we are looking forward to everything! We are going to Hershey Park on July 14 and it’s our first time. I am excited to go on all the bigger rides. Kids are stoked for kids rides! And now i am excited to eat lunch at Chic-Fil-A. I am most looking forward to learning more about the history of Hershey. In addition, I also want to go on the roller coaster rides. I am looking forward to the Boardwalk. I’m most looking forward to eating Hershey Chocolate. I spent a great day at Hershey Park years ago with my family. I wish that I didn’t live so far away. I would love to visit, it sounds interesting and fun. Thanks for the information.